Gamers like to live large. Sure, screen sizes may change over the years, but the action packed into those megapixels continues to grow at a crazy fast pace. When it comes to game time, you want the biggest explosions, the most realistic dunks, and the most massive guns. In other words, you want the coolest AAA games of the year. And why shouldn't you, especially when you can snag them all for your PlayStation from the relaxing comfort of your couch. The PlayStation Stores's Day 1 Digital Event brings you the biggest blockbusters of the gaming year direct to your PS4 and PS3 consoles. Not sure which one to choose? Don't worry, you can actually score some serious cred by buying up more than one title through October 28th. ($15 in credit for spending more than $100, in fact). 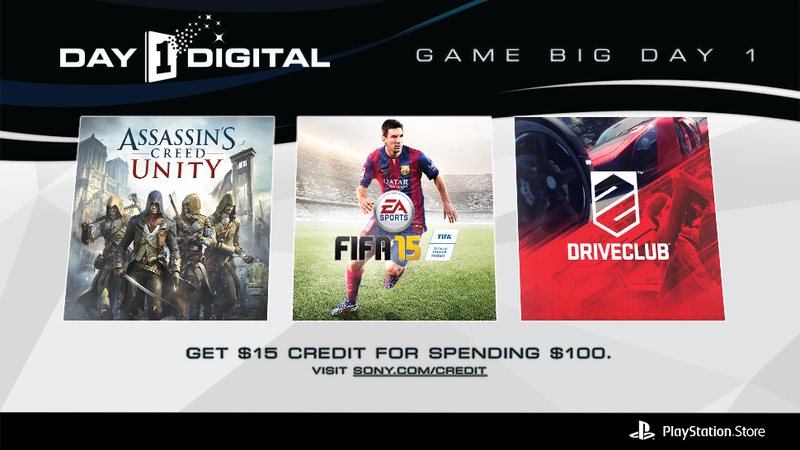 Whatever your fancy, the PlayStation Store has you covered.